The ninth of February, 2018? That was months ago! I call shenanigans! That's so Al has an out if he misses the deadline by a day. 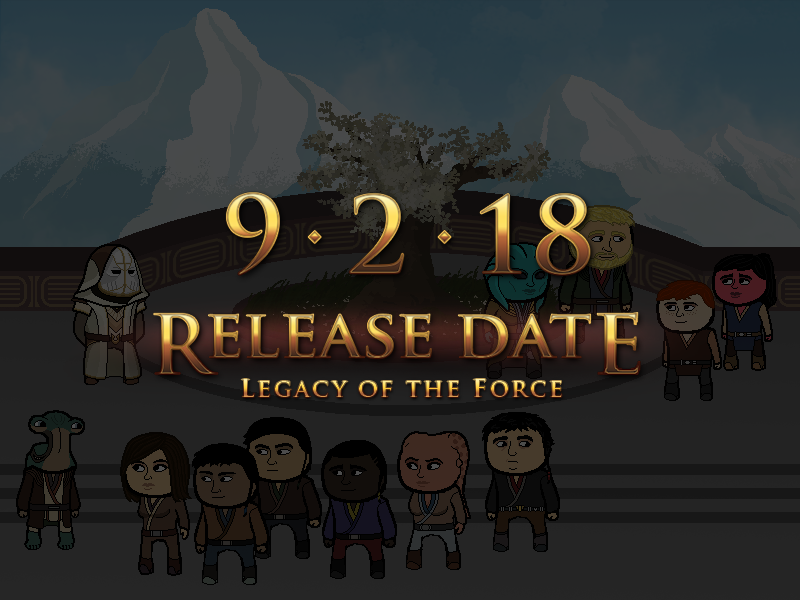 Can't miss the date if you missed it already. 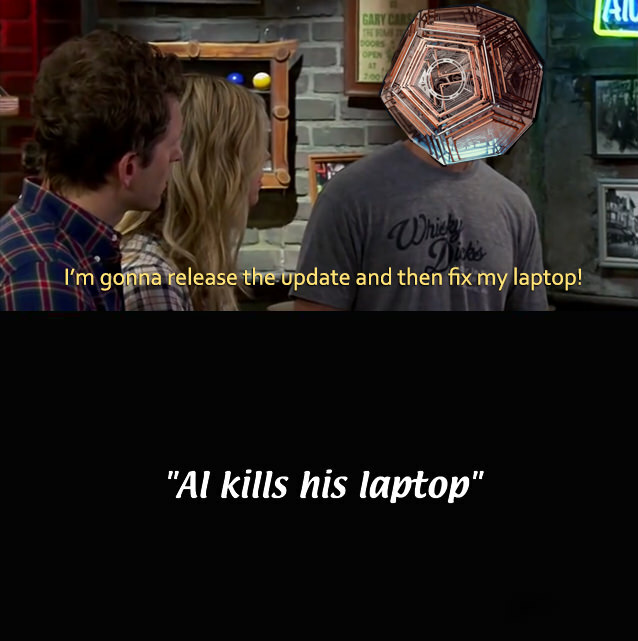 How is the update coming along, Al? It's coming along just fine. I have some considerable hardware issues that have been plaguing me these past two weeks and have only gotten worse over time. I was hoping to release the update by Sunday as only the finishing touches are left undone, but the fact that I had to redraw hours of stuff today alone has been a hampering pain in getting it live on time. Lots of crashes, freezing, restarts, frustration and lost work. It's still dropping within the next twenty four hours or so, no worries about that, but afterwards it might be best I take a look at what's wrong with my laptop before drawing the next update. These dialogue choices are hilarious. "Oh my, it looks like the Force just wasn't with you today." "Yeah? Well neither was your daddy." Though I think we have a winner! Is: "Yeah? Well neither was your daddy." But, be sure to accompany it with various force puns (as many as humanly possible). Mark me down as "aboard the SSV DADDY"! Mommy once told me I was a weak, pathetic boy who succumbed to peer pressure. +1 for D A D D Y! Ok then, let's go with the "daddy"-answer then. Has it ever been the case so far, that all folks pick the same answer? Let's face it: Star Wars is mostly about daddy issues. Okay, so we already know she digs being emotionally assaulted. It's kind of her thing. Let's doubledown, and really hit home that daddy complex she so obviously has. Yeah, this is really the easiest choice we ever had in ORPA. Though I admit I kinda liked choice number 3 too and choice number 1 feels slightly ominous. The daddy one is just PERFECT. Starting off with a PUNCHLINE RETORT to a SETUP that's literally months old? Yeah, good luck with that. You're really grasping at straws here, aren't you? It appears that THE QUIRK's REASON attribute is still very much high, despite your best efforts to LOWER it. This TOTALLY happened off-screen. Yes, it did. Welcome to the MOTHER of ALL FLASHBACKS. Your NAVICOMPUTER has started BEEPING. It would appear that you are approaching your DESTINATION. You are now DARTH SABER, the MOST LAW-ABIDING SITH LORD of ALL TIME. In a moment of weakness, you have BROKEN the LAW by not wearing a SEATBELT, despite the fact that you broke several SPEED LIMITS altogether. The two most important women in your life have an ARGUMENT behind your back, equally CONFOUNDED by this anticlimactic development. Probably not the best argument you could come up with, Red. You have no money left to pay the officer the FINE, and he is insistent on PUNISHING you for this INDIGNITY and CLEAR PERVERSION of the LAW. This was a masterclass in storytelling! There's so much to digest here and I'm too sleepy to do it now, but this EASILY dwarfs anything released so far that it's just crazy. The musical score really elevates the whole thing. It's awesomely timed if you don't get stuck looking for the details on your first read through. EXPLAIN that the FATE of the GALAXY DEPENDS ON IT! Omg, I came back on the right day. This was so worth the wait, wish I could give it higher than a great post. You've really outdone yourself Al. The musical score really elevates the whole thing. This ship kills me every time. The happiest shuttle in the inner rim . That policeman seems to suggest this scene is meta. Why not break the fourth wall by talking to the audience, and while the pig wonders who you're talking to... escape? Ok I just gave this a quick read through before work & WOW so much stuff to get through I will be back later to give it a second more detailed read through & my ideas of what Darth Sauber is going to do. 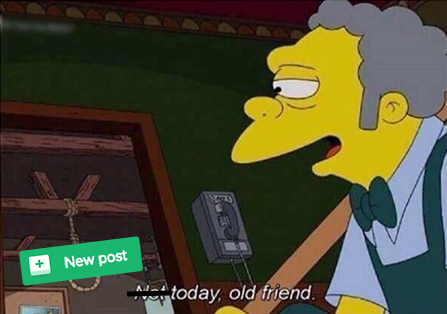 Ah, that feeling. Like a refreshing drink after a long day. You have no money left to pay the officer the FINE, and he is insistent on PUNISHING you for this INDIGNITY and CLEAR PERVERSION of the LAW. What do you do? Surely it's not an ON-THE-SPOT FINE. Humbly accept a TICKET and PROMISE to pay at the LOCAL CONSTABULARY within the PROSCRIBED TIMEFRAME. You have to love the bait and switch by having a Gamorrean cop. Its that classic ORPA wit I missed. A Gamorrean cop? There's an urge in me to make a suggestion based on current U.S. civilian-police relations, but I am gonna pass on that one. Instead, loudly and boldly ask the officer "AM I BEING DETAINED." If he doesn't say yes, you can go. That's like, a law. SECONDED. With the POWER of the LAW on your side, there is no way this Gamorrean will abuse your civil rights! Is Doop literally the Jedi equivalent of a school shooter? Duh. Use the force.... tell the pig to ticket the nearest Jedi... as KEEPERS of the peace... they'll gladly pay your fine. Assure this fine swine that everything here is kosher, in only way you know how. That's right... break dance. It wouldn't be a proper ORPA hiatus if one of the first suggestions back didn't involve forcing the writer to animate the same looped animation that drove the last guy writing this beat to even heavier drinking.